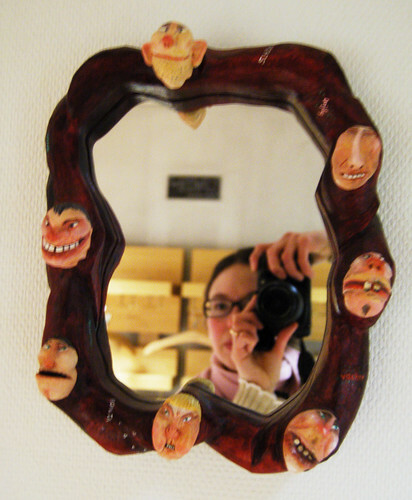 The theme of Selfportrait Tuesday this week/month is April Fool. I’m impersonating this by just existing. Because I was born in April. I am the April Fool. I’ve been thinking about contributing with some of all the photos of me that I already have (or snap myself all the time) – but haven’t had the discipline to do so (or the courage? ), until now. But today I will share with you: I, Hanna, in a few fun photos. 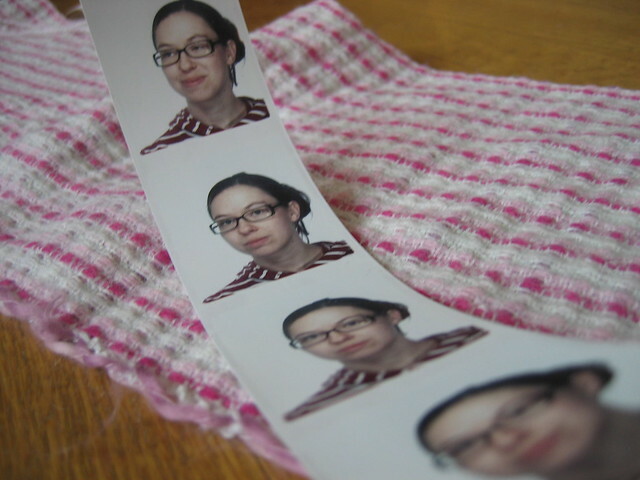 I was at a photo-boot last week, wearing my new red sweater with white stripes. 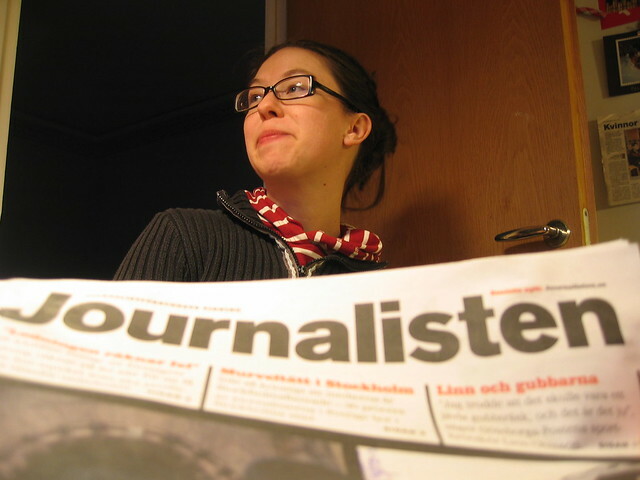 I will send one of the photos to my union to get an identity card for journalists. Maybe it will feel more real then? Well, no hurry. I still have a year left in school. I’m now getting this weekly magazine, Journalisten , through school… but will I ever become an employed journalist at a magazine or newspaper? I have my doubtful moments, so keep your fingers crossed. I was just viewing someones awesome photo blog the other day, and admiring beautiful photos of two daughters and everyday life. I remembered my own Fotodagbok (photo journal) that I kept for one year (back in 2004). When I view those pictures I remember how much I love and adore personal photography – and viewing my life in still pictures. Beautiful photos makes me very happy. It looks like we had such a wonderful life back then, when I browse those photos. I think you notice the small beautiful things better if you journal them, in any way; handwriting, blogging, photos, collages, poems, ephemera collecting, sketching… One should really document family, and life (as well as kisses and love) in life when we have it. I wish I had time for a photo blog again, but instead of starting another big project I will try to post more photos to this blog. Photography documentation rocks! This entry was posted in Photography and tagged About Me, documenting life, self portrait. Bookmark the permalink. Thanks for the photos of you. Very photogenic and I love your glasses. Maybe one of these days I’ll actually put a picture of me on my blog. Maybe…. Thank you so much for visiting my blog! These are wonderful photos. Happy Birthday – what a fun mirror of faces too!